The Sanctuary is owned and managed by Watchet Baptist Church. We believe that the mission of Jesus Christ can be summarised by two statements: "Love God. 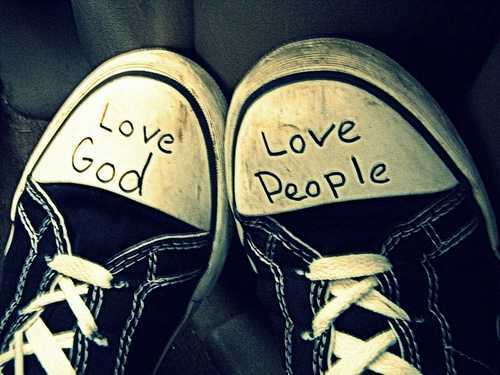 Love People". So because as Christians we are followers of Christ, that is our mission too. It means we're not satisfied to 'hop' through life, hiding away in an exclusive 'holy huddle', but will do all we can to show love to others in our world, just as Jesus did. We think it is wrong to force our faith on others - in fact we think genuine faith cannot be forced on anyone - but we are very happy to talk about it with those who are interested. The Sanctuary will host sessions from time to time for those who would like to ask questions and explore Christian spirituality but we'd be happy to chat any time - use our 'Contact Us' page or click here to find out more about Christian faith.